Smart-Namo Saffron One and Saffron Two are launched online and are available for pre-order. The company has also introduced the SmartNamo Saffron X which comes with 4GB RAM and 128GB ROM. Till now Intex Aqua i7 and Gionee Elife E6 are the best budget smartphone that comes with lusty specs and features. Micromax, Xolo and Karbonn would also soon launch new handsets with 2GB RAM. Micromax has already said that they will launch 4G enabled Windows smartphone in the future. Both Saffron 1 and 2 comes with 1.5GHZ MTK6589T quad core processor and Full HD display. 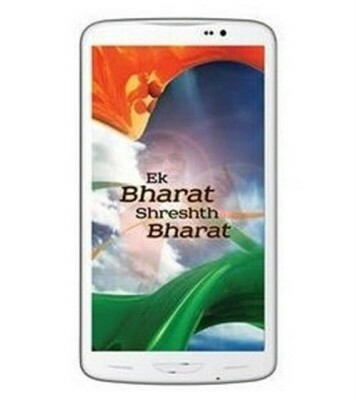 Smart Namo Saffron One comes with 1.5GHz Quad core processor and runs on Android 4.2.1 Jelly Bean Box. The handset has 1GB / 2GB RAM, 16GB / 32GB ROM (internal memory) and 64GB via microSD card slot. The Saffron 1 comes with 5inch capacitive touch screen IPS display with 1920×1080 pixels resolution and corning Glass II protection. It packs with 13MP Autofocus camera with LED flash and 5MP front facing camera. To power Saffron 1 there is 3150 mAh battery. Talking about the connectivity it has Bluetooth with A2DP, GPS, WiFi, 3G, 2G, 3.5mm audio jack and micro USB port. In terms of thickness it is 9.8mm thick and weighs 126 grams. It supports Dual SIM capability. 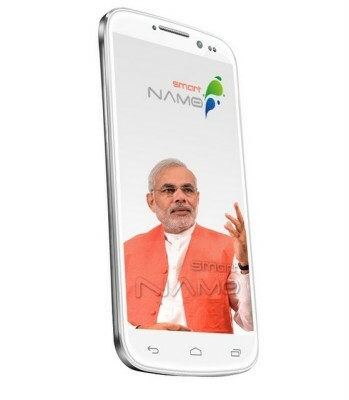 Smart Namo Saffron Two comes with 6.5 inch Full HD (1920×1080 pixels) IPS display. It also has 13 megapixel primary camera and 5 megapixel secondary camera. It features 3G, WIFI, Bluetooth, GPS and 3.5mm audio jack. Although Saffron 2 / two has 2GB RAM, 32GB internal memory and 3150mAh battery. Android v4.2 jelly bean operating system is there to make the hardware run. Smart Namo Saffron 1 comes in Black colors and 2GB RAM & 32GB ROM variant is priced at RS23,000 and 1GB RAM + 16GB for Rs 18,000. 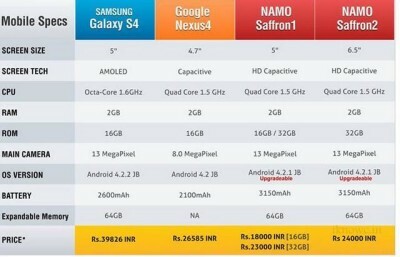 SmartNamo Saffron 2 is at RS 24,000.